Peter & Richmond Condos is coming soon to 122-128 Peter Street in downtown Toronto, Ontario by Fortress Real Developments, Carlyle Communities and Berkley Homes. 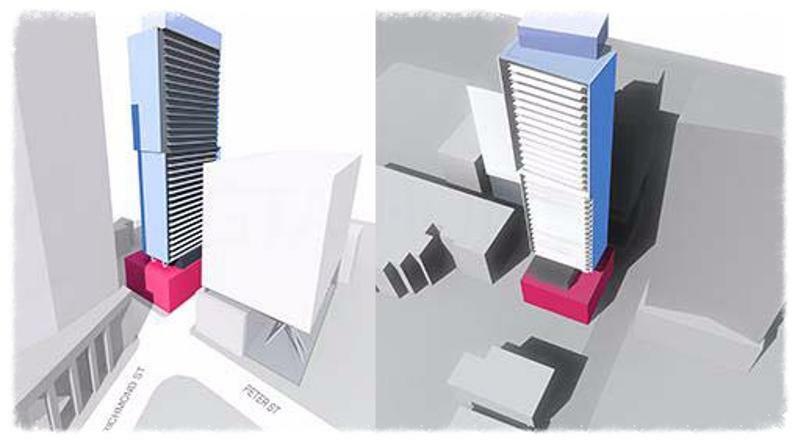 It is a new high-rise condominium development with a proposed 36 storey tower and 250 dwelling units ranging in size from 400 square feet to 1,200 square feet designed by architectsAlliance located in the Entertainment District of Toronto and is within walking distance to all amenities. Lotus Condos - A new condominium development by Fortress Real Developments with Chestnut Hill Developments currently in pre-construction and is selling located at Sheppard Avenue East and Kenaston Gardens in Toronto, Ontario with 11 storeys and 23 units. Prices for available units start from $305,990 and this development designed by Kirkor Architects + Planners is scheduled to be completed by 2017. Amenities include rooftop terrace, exercise room and spa. Woodbridge Park - A new low-rise townhouse development by Fortress Real Developments with Sierra Building Group currently in pre-construction located at Steeles Avenue West and Kipling Avenue in Toronto, Ontario with 270 units designed by Kirkor Architects + Planners. Beach Hill Residences - A new condominium development by Carlyle Communitiescurrently under construction and is sold out located at 763 Woodbine Avenue in Toronto, Ontario with 64 units scheduled to be completed in 2015 designed by RAW Design. 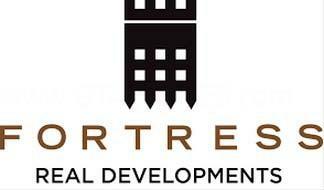 Crestview Commons - A new townhouse development by Fortress Real Developments ad Carlyle Communities currently in pre-construction located at 1640 Crestview Avenue in Mississauga, Ontario with 26 units with an average suite size of 2,000 square feet. West Harbour City Phase 2- A new condominium and townhouse development by Berkley Homes and Plaza that was completed in 2011 and is sold out located at 21 Grand Magazine Street in Toronto, Ontario. Amenities include indoor pool, yoga, fitness room, espresso lounge & panoramic city views from 600 square feet to over 5,000 square feet. Blue Water - A new single family home development by Berkley Homes currently under construction and is selling located at 9102 Hwy 26 in Wasaga Beach, Ontario with 115 units. Sales for available units start from $599,990. Register your interest with us today for the Peter & Richmond Condos Platinum Access by Fortress Real Developments, Carlyle Communities and Berkley Homes! For more information, please register today for the Peter & Richmond Condos.